"Karen love love love my eyebrows. It's an absolute joy not having to pencil in every morning. Blondes truly do understand the frustration of trying to pencil or powder in their very light eyebrows without looking like a clown! Thick "Celebrity Eyebrows" may be in vogue at the moment but it isn't a look that most blondes feel comfortable with! Also, it's quite hard to find the right eyebrow pencil colour as most brow pencils are the wrong shade or just too dark. This makes drawing your eyebrows on quite a daunting task each day. Well the GREAT NEWS is… I use an exclusive permanent brow enhancement technique which is perfect for blonde-haired ladies! I am able to create multi-tonal colours which is almost like highlights for your eyebrows! I only use top quality pigments (the same pigments that Harrods technicians use) and can blend these to perfectly complement your hair colour. All the pigments are designed to fade over time so as your hair colour changes, so too does your eyebrow colour. This technique guarantees beautiful, natural-looking brows for those with blonde hair. I always ‘air on the side of caution’, so intentionally start with too light a colour. You return to me in 4-6 weeks so I can check that the shape and colour have healed in perfectly. At this appointment I will add lowlights of a slightly deeper colour creating a 3D effect which looks amazing on blonde-haired ladies! This exclusive treatment has been extensively trialled on thousands of blondes across the UK, with huge success and lots of happy blonde clients. The eyes may be the "window to the soul" but the eyebrows are their frame & this is especially true of Brunettes. As a Brunette, your eyebrows are a very distinctive part of your face, so it’s really important to always have them perfectly groomed. Drawing your own eyebrows on is very difficult to get right each day & it's really obvious when you get it wrong! Many Brunette and Asian women’s eyebrow hairs tend to be coarse and sparse & any imperfections are very noticeable. For you, perfectly-defined eyebrows will transform how you look by opening your eyes and lifting your whole face. This is why I take a completely different approach to applying permanent eyebrows to a brunette. The brows need to be dark enough to match your hair, skin tone and eye colour, but applied in a very specific way that they look completely natural. If the shape & colour are not perfect then it can look quite blocked in and unnatural. Luckily for you Brunettes…I have been trained in, and use, an advanced permanent brow enhancement technique exclusively for Brunettes! 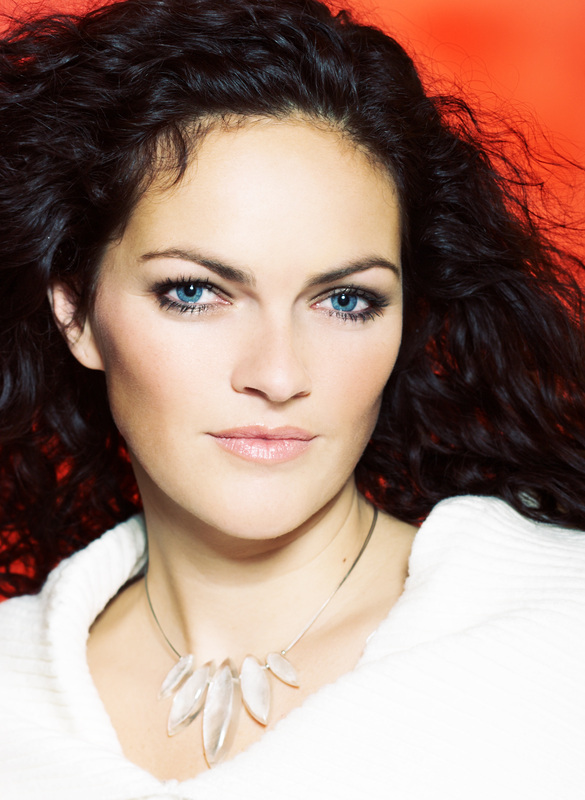 I can create a palette of multi-tonal golden caramel and dark chocolate colours designed specifically for brunettes. It’s almost like low-lights for your eyebrows! I only use top quality pigments (the same pigments that Harrods technicians use) and can perfectly complement your hair colour & skin tone. 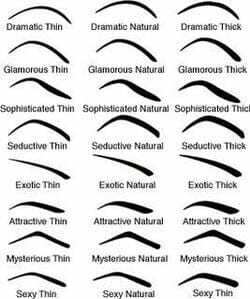 I will perfectly define your eyebrow shape, which will add definition and structure to your whole face, for a beautiful, natural but well-groomed look. All the pigments I use are designed to fade over time so, as your hair colour changes, so can your eyebrow colour. I will mix a specifically-blended colour pallet just for you. This advanced technique guarantees a completely natural, perfectly-defined result for those with brown/dark hair. My method, as always, is to ‘air on the side of caution" even when it comes to treating dark haired women, so I always intentionally start with too light a colour. You return to me in 4-6 weeks so I can check that the shape and colour have healed in perfectly. At this appointment I will add low-lights of a slightly deeper colour creating a 3D effect which is perfect for Brunette hair. This exclusive treatment has been extensively trialled on thousands of Brunettes across the UK, with massive success & lots of happy Brunette clients. For hair that is white or silver, subtlety is the key! You want to bring vividness to the face without looking too made up & a little goes a long way. It's quite hard to find the right eyebrow pencil colour as most brow pencils are the wrong shade or just too dark. This makes drawing your eyebrows on quite a daunting task each day - more so if you are shortsighted! You can't make the mistake of sticking with the same make-up shades you’ve been wearing your whole life as your old colour palette may be completely washing out your new lighter-haired look. Nevertheless, you shouldn't underestimate the importance of beautifully-defined eyebrows to give your face youthful definition & shape. If you are like many of my silver/white haired clients who have lost a lot of their brow hair through overplucking, hormonal changes etc. having your brows back will give you such a boost of confidence & save you so much time & frustration each day! GREAT NEWS … I use an exclusive permanent brow enhancement technique which is perfect for silver-haired ladies! I can re-create hairstrokes that are so natural, only you and I will know! I only use top quality pigments (the same pigment that Harrods technicians use) and can perfectly complement your hair colour without going over the top. 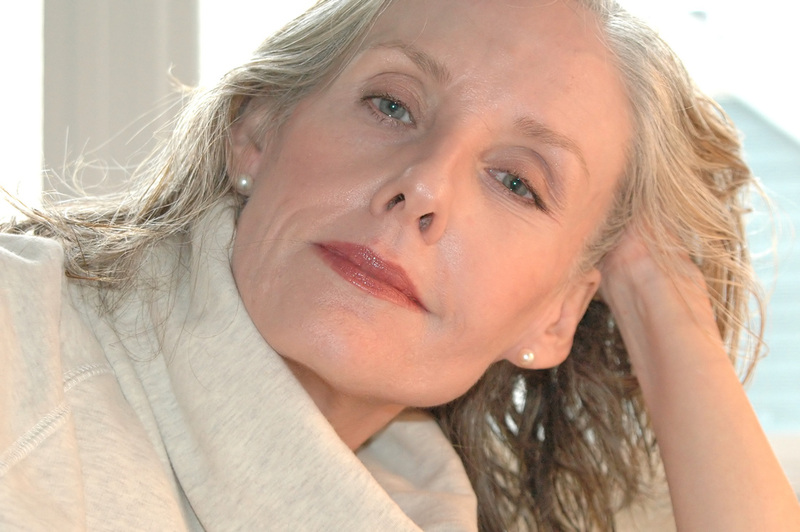 This technique guarantees beautiful, natural-looking brows for those with silver or grey hair. I always ‘air on the side of caution’, so intentionally start with too light a colour. You return to me in 4-6 weeks so I can check that the shape and colour have healed in perfectly. At this appointment I will add lowlights of a slightly deeper colour creating a 3D effect which looks amazing on silver-haired ladies! This exclusive treatment has been extensively trialled on thousands of silver-haired ladies across the UK, with huge success and lots of happy clients. Perfect if you have thin or missing eyebrows - imagine the time saved by never having to pencil again! A beautifully placed arch in your eyebrows will take years off your face. You will look like you've had a mini face-lift, without going under the knife! The natural hair-strokes looks so real - only you will know the secret! Those suffering from alopecia (hair loss) are pleasantly surprised at how natural it looks. Perfect for ladies who are short-sighted or wear glasses - never worry about applying your brow pencil properly again! Uneven eyebrows can easily be corrected. No worries about hugging a loved one in case they end up wearing your eyebrows! "You can choose your preferred shape & colour with permanent make-up eyebrows but we would always advise you to have the shape & colour that complements your age, bone structure and natural skin tones." A perfect solution for those with sparse or missing eyebrows who want a really natural-looking finish. A newly-created shape is drawn on. Then, very fine hairstrokes are applied to the brows The healed result is a beautiful and natural-looking textured-effect. This technique will give you an "airbrush effect". Suitable for people with some eyebrow hair but where their brows lack shape and definition, or have small gaps. Also for those who like a more "pencilled-in" look with a clearly-defined shape. The finished effect is a soft powdery look under the eyebrow hair which makes the brow look fuller and enhances the shape. Now you've discovered Carefree Beauty, the first step is to arrange a FREE, no obligation consultation. Call NOW on 07511 398797 or email Karen@CarefreeBeauty.co.uk. During the consultation, we will include a simple skin patch test, to ensure your suitability for treatment. You will have a one-to-one personalised colour analysis, which will take into account your hair and eye colour, and individual skin undertones. The pigments selected are custom blended for each individual, as no two people are exactly the same. We discuss your desired look and explain how this can be achieved. When you are happy to go ahead, we will book your appointments in two stages spaced about 4-6 weeks apart. This gives time after the first session for the pigments in the skin to mature and the true colour to appear, allowing for a safe, comfortable and gradual process. You need to allow for approx. 2 hours to complete the initial treatment.